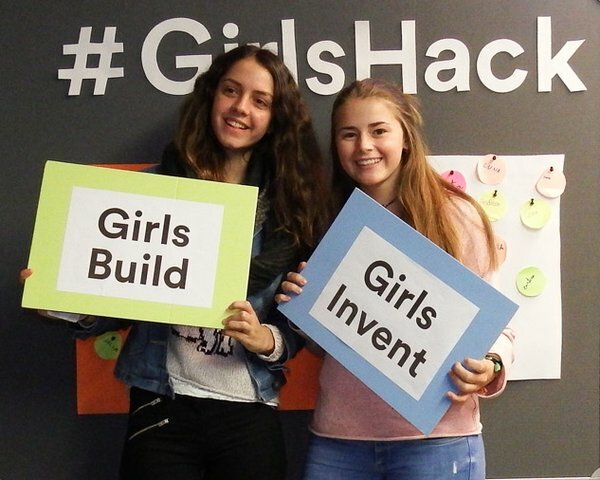 GirlsInLab is an organization of volunteers in Barcelona which offers free educational and hands-on STEM workshops and tutorials for young girls to promote their interest in technology and in pursuing STEM-related careers. On 29th November 2015, I participated as volunteer at the UPF Hackathon for girls between 7 and 17 years. This video shows how the girls learnt to program and to create their own ideas with Scratch, robotics, AppInventor, Drawbots, 3D design, 3D printing and Makey Makey.